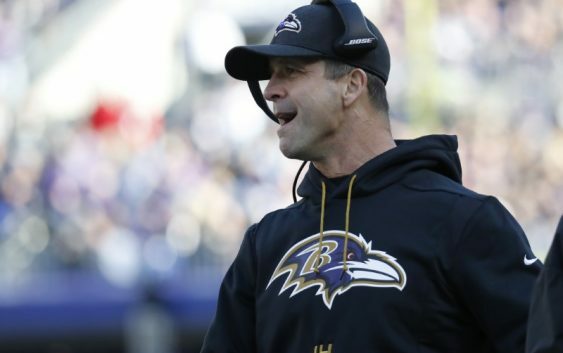 Harbaugh, 56, has spent 11 seasons with the Ravens, making him the fourth-longest-tenured head coach in the NFL behind Bill Belichick (19 years), Mike Tomlin and Sean Payton (12 each). 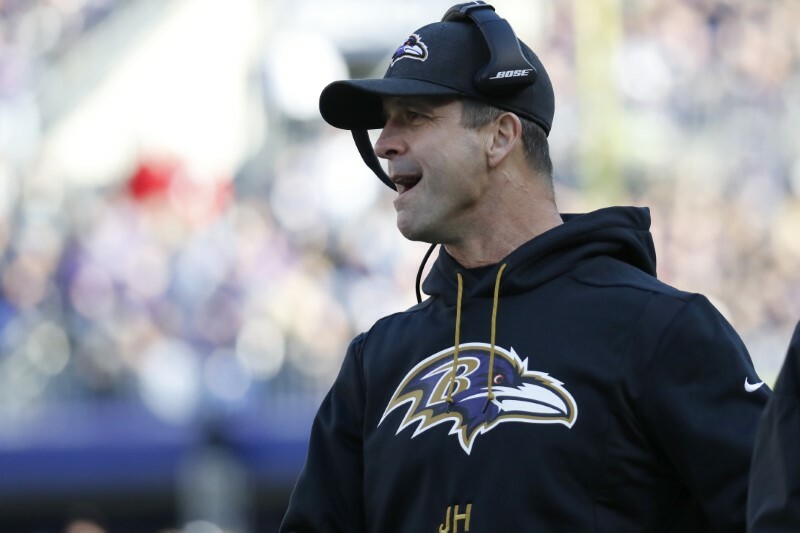 After winning a playoff game in each of his first five seasons at the helm — culminating in a Super Bowl XLVII victory — Harbaugh and the Ravens had missed the playoffs in four of the last five seasons, including three straight years, before winning the AFC North in 2018. They were bounced in the first round of the playoffs by the Los Angeles Chargers. –Philadelphia quarterback Nick Foles fell four snaps shy of earning a $1 million bonus this season, but the Eagles reportedly paid him anyway in a good faith gesture. Playing for injured starter Carson Wentz, Foles went 4-1 in five regular-season starts and finished with 357 snaps — 32.69 percent of the team’s 2018 total. He needed to play 33 percent of the snaps to earn the $1 million incentive, leaving him four snaps short. ESPN’s Field Yates reported Philadelphia opted to pay the Super Bowl LII MVP despite the shortfall. –The Arizona Cardinals will hire former Green Bay Packers assistant Tom Clements as their passing game coordinator/quarterbacks coach, NFL Network reported. The network also reported the Cardinals are not expected to hire an offensive coordinator, despite interviewing a number of candidates. New head coach Kliff Kingsbury will run his own offense and call plays, but he said at his introductory press conference he hoped to hired a veteran coordinator with NFL experience. Clements, who was the Packers’ OC from 2012-2014 and led the Buffalo Bills’ offense from 2004-05, brings experience to the staff, without the coordinator title. –Pittsburgh Steelers safety Morgan Burnett told NFL Network he would like the team to release him before free agency. Per Rapoport, Burnett wants to join a team that will use him in a pure safety role, after he played what he believes was out of position at dime linebacker in Pittsburgh. Burnett, who turned 30 last Sunday, joined the Steelers on a three-year, $14.4 million deal as a free agent last March, but he started just two of 11 games this season as the third safety. –The Houston Texans have signed right tackle Seantrel Henderson to a one-year contract extension, the team announced. NFL Network’s Ian Rapoport reported the deal was worth a maximum value of $4.5 million. Henderson started the Texans’ 2018 season opener at New England, but suffered a broken left ankle in the first quarter and missed the rest of the season. –The Jacksonville Jaguars have signed safety Jarrod Wilson to a three-year contract extension, the team announced. Wilson, who turns 25 next month, was set to become a restricted free agent in March. –The NFL has fined Indianapolis Colts defensive lineman Denico Autry and Los Angeles Rams cornerback Marcus Peters for separate incidents in last weekend’s divisional playoffs, NFL Network reported. Autry was fined $13,369 for his hip-swiveling celebratory dance after sacking Kansas City quarterback Patrick Mahomes in the third quarter of the Colts’ 31-13 loss, according to NFL Network’s Tom Pelissero. Peters was fined $10,026 for unnecessary roughness during the Rams’ 30-22 win against the Dallas Cowboys, according to Rapoport.